The image is used under a creative commons license with thanks to McBeth on Flickr. It is a photograph that shows an empty flag-pole set against a grey sky. It is raining. 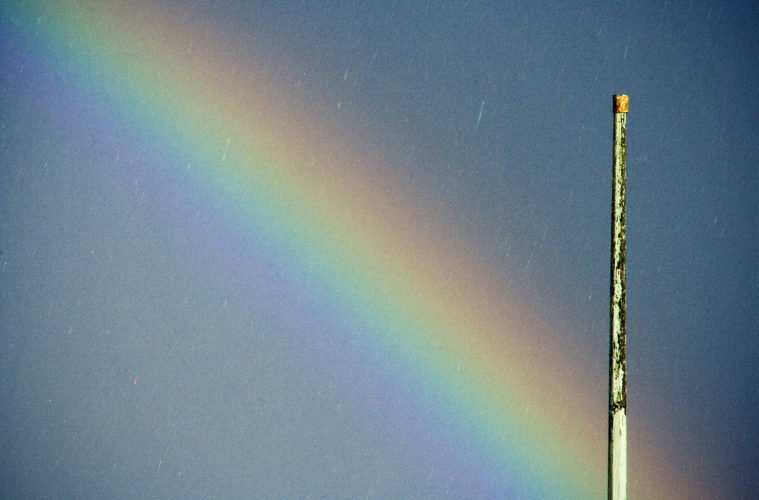 There is a rainbow which, because of its positioning, almost looks like a rainbow flag hanging from the pole.